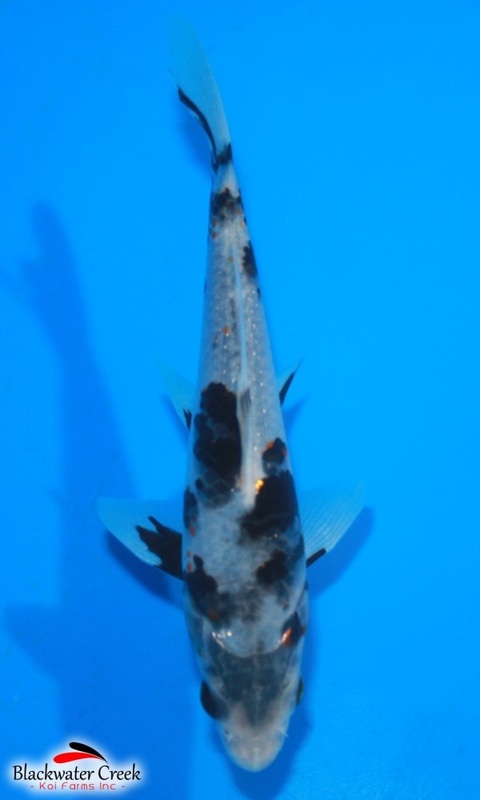 Store Home :: Individual Fish :: Black Koi :: Beni Matsukawa Bakke 6.5"
As with all fish sold at Blackwater Creek and its retail partners, ALL fish (and we mean ALL FISH) are produced at Blackwater Creek BY Blackwater Creek's expert staff WITH Blackwater's lines of genetics... So what does this mean? 1. American Jobs - You are supporting many, many families that love producing these fish. Its NOT an easy job. If you dont love it... you can't do it. Our crew Loves it! 2. Biosecurity - Our farms were the FIRST to stop bringing in outside fish. A long time ago, Well before it was a cool thing to brag about. Our fish are viral tested... truly viral tested. Some other farms buy and sell a lot of the fish they offer and it is a very risky business regardless of what they tell you. Many farms choose not to test their fish (we have an idea why... you should ask them). Safe secure fish... Blackwater Creek. 3. Price - Farm Direct means great prices on FIRST CHOICE Fish. Like pickin' a sweet apple right from the tree! 4. Appreciation - We appreciate the fish we raise and we APPRECIATE your business! Thank You! Notify me of updates to Beni Matsukawa Bakke 6.5"